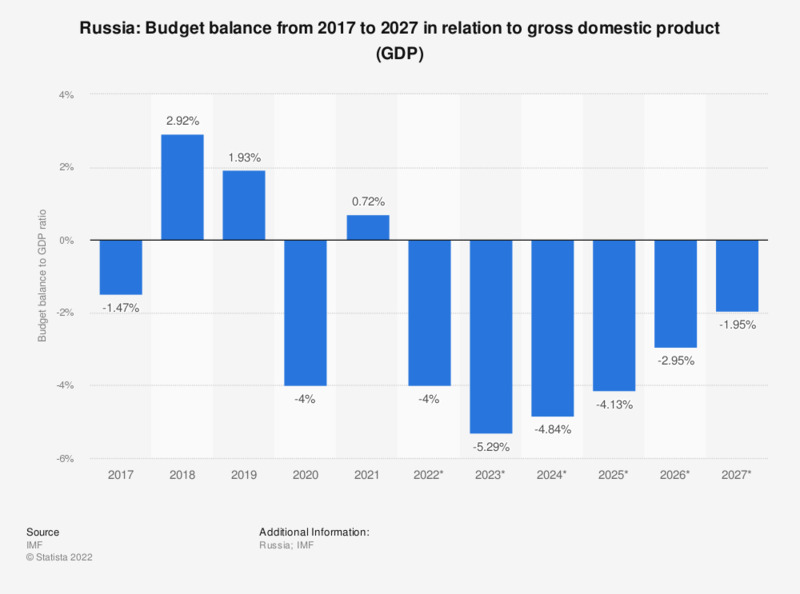 The statistic shows the budget balance in Russia from 2012 to 2017 in relation to gross domestic product (GDP), with projections up until 2022. In 2017, the state deficit of Russia was around 1.47 percent of the gross domestic product. Which is the higher priority for the federal government, deficit reduction or economic stimulus?